“I could not take my eyes off the screen for a second,” said Jason Whyte of efilmcritic.com. Lou Reed’s Berlin is a concert film from director Julian Schnabel (The Diving Bell and the Butterfly), who is obviously a fan of the album and of Reed. The music is gorgeous. I bought the CD and left it in the car changer. Lou Reed is one of the great musician/social commentators of our time. Considering our country’s current financial woes, “Dirty Boulevard” especially has an element of eerie prophecy no one could have realized when it first hit the airwaves. As a live experience, I’m sure this was a phenomenal concert. But as a DVD it is a pedestrian attempt to animate Reed’s rock opera. Concerts are communal experiences. The empirical problem with concert films is that film disconnects the viewer from that experience. The record Berlin is a deep beautiful, moving and visceral experience that gets lost on the television screen. If Julian Schnabel had constructed a fictitious work around the album, a la Pink Floyd’s The Wall, that might have worked better, but this just didn’t do it for me. An excerpt from “Spectacle: Elvis Costello with Lou Reed & Julian Schnabel” is an interview outtake wherein Costello plays the role of interviewer. The repartee among the three plays like a mutual admiration society. Finally, there’s the theatrical trailer. I’ve said it before and I’ll say it again. A theatrical trailer is not an extra. Don’t. 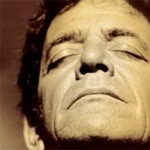 Go see Lou Reed live in concert and rent The Diving Bell and the Butterfly.